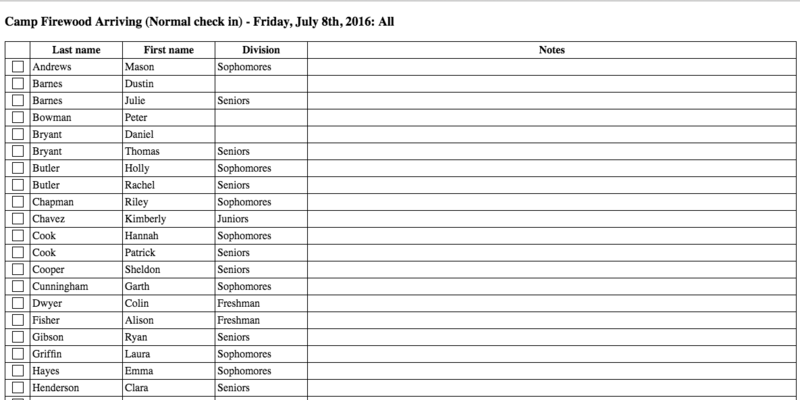 Similar to Staff Driven in the sense that you pick your "Checkpoint", "Direction", "Date", "Status". "Group by" allows you to group by "Division" or "Transportation method". 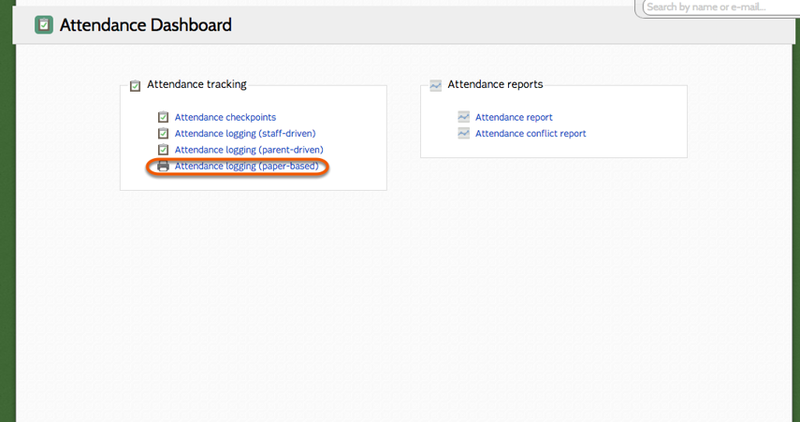 Once you have adjusted your settings click "Generate" to create your Attendance log. 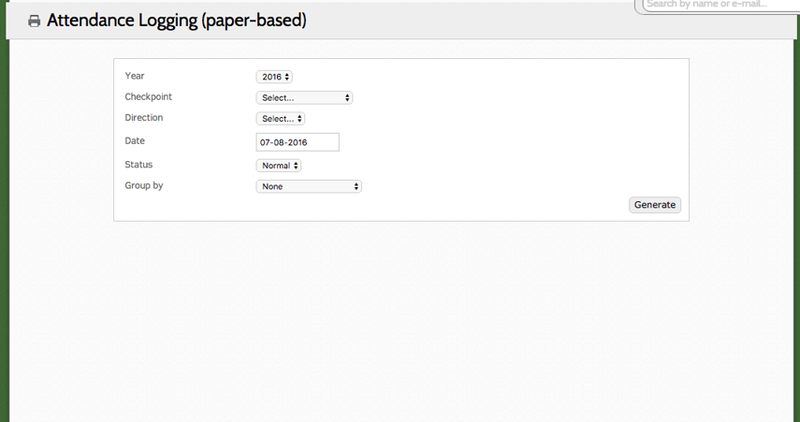 Here is an example of what a paper based attendance log looks like.